What processes are needed for the wall building from nothing to completed? In the face of this problem, probably a scene has emerged into your mind. In the roar of construction site, the wall are being built with bricks by hard busy workers. If I tell you now, a kind of machine has come out. 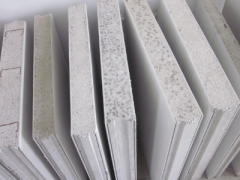 As long as you put the raw materials into the mixing equipment, and then through a production line, finally the walls are produced and neatly stacked together. Don't you feel amazing? 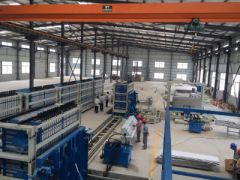 This is the latest "Vertical Composite Energy Saving Full Automatic Lightweight Wall Panel Production Line" self-developed by S.L Machinery. The development of science and technology, the ultimate goal is to make labor fully liberated. In front of the automatic production line, the workers’ heavy work is completely replaced by the machinery. Fly ash and cement is brought by tank truck, mixed with foaming agent by ratio, and then put into mixer with water. The production line starts to work. First of all, the mixture will be injected into the mold cavity of injection molding machine, be Made into product after solidification. 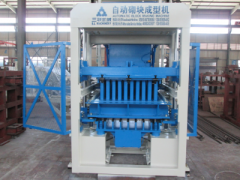 And then, The forming machine is turned 90 degrees from the vertical turning car, Automatic demoulding stacking machine will emerge from the product molding machine, the wall panel will be separated into several stack by demolding of separator. Finally, the finished product will be transported to the finished goods yard by forklift, simultaneous appearance inspection, graded stacking. Look at the machine to do all this, it seems so natural, smooth and orderly, will you think that is human resources limitations and small? But do not forget, machine will do all this, are human leading science and technology creation and production. There is a production line, containing 3 patents of invention, 6 patents of utility model, and 5 patents of appearance, a total of 14 patents. This is the wisdom of S.L Machinery people. Green manufacturing, energy saving and emission reduction. When a lot of domestic enterprises just regard it as a slogan, S.L Machinery have been immersed in our own, silently study, and on this road away with distance to peers , more walk more far. 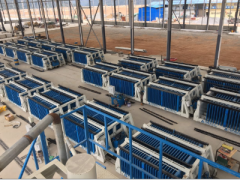 From the multifunctional intelligent block machine to construction waste residue brick production equipment, now the vertical type compound of lightweight energy-saving wall panel automatic production line. As one research brick manufacturing, sales and service in the integration of environmental protection equipment, building energy conservation wall panel machine, concrete mixing plant and asphalt mixing plant of high-tech enterprises. S.L Machinery is always daring to be the first. Look at the overseas, there is no this kind of automatic production line’s research and manufacture from the public information. Look at the domestic, compared with the traditional horizontal wall panel machine, its production capability, molding quantity and product quality will be better than other manufacturer. Maybe someone will ask: why S.L Machinery want to produce this machine? S.L Machinery’s answer is: it can solve the problems of high intense labor, low efficiency, high cost and potential risk; and the line production can add the output, also the wall panel product quality will be higher. What’s more, environmental, waste utilization and energy saving. Say goodbye to the traditional concrete pouring, and enter the modular assemble PC building, and it will be the future of building material machine. 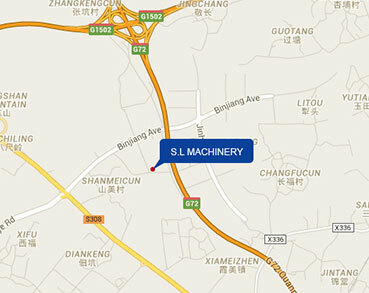 S.L Machinery as the leading company of new-type wall material, it has the responsibility to lead the whole industry to take the step, and open a new future in the new normal environment of current economic.